What are causes for hair loss? Finding the cause is very important. It may arise due to lack of vitamins and minerals in meals. This is common in some but can also occur due to side effects of drugs of severe diseases. Why to go for hair treatment? Baldness leads to distress. 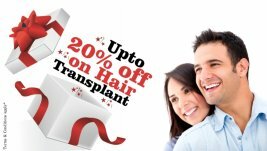 Hair fall treatment works as a wonder for some patients as it helps them to regain their lost hairs and thus build a special confidence in them. How do hair doctors analyze hair loss? The first step involves testing of scalp, after which sometimes it is also necessary to go on with biopsy of the scalp. They also examine the appearance of the hair shaft as well. Male pattern baldness is a common factor in males. It states the stage where the normal growth of hair reduces and they notice that hair does not come out. It never means that they are actually loosing hairs. Is hair loss different in female than males? Women lose hair on an inherited (genetic) basis. Some loses their hair in early 20s and other after mid thirties. These may occur due to anemia and thyroid disease.